Tybee Island is located 20 minutes from historic Savannah, Georgia's First City. This barrier island boasts five miles of beaches backed by sea-oat covered sand dunes that are perfect for sunbathing, people-watching and frolicking in the sand and surf of the Atlantic Ocean. Visitors can also choose from boat cruises, fishing trips, kayaking, bike riding and bird watching through the surrounding low country. For the history buff, Tybee's home to Fort Screven, Fort Pulaski National Monument and the Tybee Lighthouse, Georgia's oldest and tallest lighthouse. 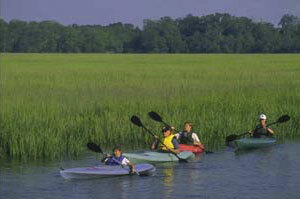 After exploring the sites, be sure to take time to sample our famous Lowcountry cuisine. From the elegance of the Landmark Historic District to the festivities of River Street and beyond, visitors delight in everything this seaside beauty has to offer. 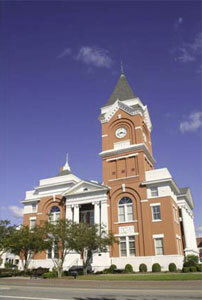 Situated in Chatham County on Georgia's pristine coast, the region includes Tybee Island, Savannah's Beach. Spend time on the fairways and greens of Savannah's many challenging and brilliantly designed golf courses or on the miles of bike paths, rivers and creeks that meander through wooded sanctuaries and salt marshes, all offering unrivaled opportunities for outdoor adventures. 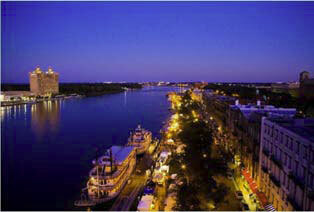 Experience Savannah's warm hospitality and savor its quirky spirit and let Savannah's mystique capture your heart. Nestled near the golden coast of southeastern Georgia, and only 50 miles from Savannah, is Statesboro, home to Georgia Southern University and a host of cultural and historical attractions. Touch and watch the eagles soar at the Center for Wildlife Education & Lamar Q Ball Raptor Center, cool off at a spectacular waterpark, sip on fine South Georgia wine, witness breathtaking sunsets and still be only a tank of gas away from the hustle and bustle of our big city capitol, Atlanta. Sport enthusiasts will enjoy the magnificent back drop of country backroads and trendy city streets of our Georgia Main Street. Come to Statesboro and take a walk on the wild side! Augusta welcomes the Tour de Georgia back for its fourth year, having hosted the Overall Start in 2005 and 2006 and a Stage Start in 2003. Nestled along the banks of the Savannah River, Augusta is the second-largest and second-oldest city in Georgia. While Augusta is known worldwide for the Masters® and the coveted green jacket, anyone can Play Augusta, GA whether it's on a golf course-traditional or Disc Golf-rowing the Savannah River or historic Augusta Canal, fishing for the big one in nearby Lake Thurmond, competing in the National Barrel Horse Championship or watching the Southern Nationals Drag Boat racing every July. And visitors will discover the historic charm of Augusta's tree-lined streets and antebellum mansions, alongside quaint shops, restaurants, and cultural and historical attractions. 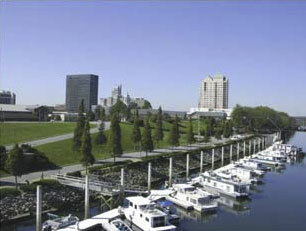 Riverwalk Augusta, which travels along the banks of Savannah River, offers a relaxing, rejuvenating stroll. Wilkes County (est. 1777), in the northeast part of Georgia, is located between Athens & Augusta. "It's funny how a town known for its history can feel so alive." That's what Southern Living magazine said about Washington, Georgia, recently. And that's one good reason why Washington-with all its historic homes and unique shops, inns and restaurants-is a small Georgia town full of people that you truly need to meet and experience when you visit. We love to have company over, in our homes, in our stores, in our inns and hotels. 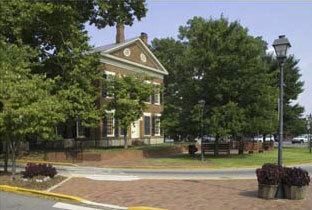 Washington has over 100 Antebellum Homes, and a trip to Wilkes County is not complete without a visit to Callaway Plantation, Washington Historical Museum, Robert Toombs State Historic House, Battle of Kettle Creek, and a stroll on the picturesque Town Square where you will find fabulous shops and incredible restaurants. As the commercial center of the scenic northeast Georgia mountain region, Gainesville boasts many fabulous finds from the bustling downtown square with bistros and boutiques to the serenity of Brenau University's campus green and the beautiful Victorian Pearce Auditorium. Stunning views from the mountain foothills along the shoreline of Lake Sidney Lanier make the Gainesville area a popular tourist spot - ranked 11th in Georgia by the Tourism Association of America. Here you'll find a blend of both quaint small town living and urban amenities normally found only in more metropolitan areas. Home of the Northeast Georgia History Center, INK Children's Museum and the Georgia Mountains Center, Gainesville offers a wide variety of both indoor and outdoor recreation. 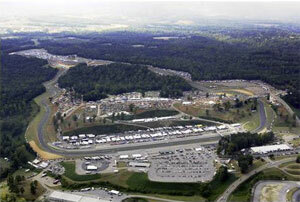 Road Atlanta is a multi-purpose special events facility located on 750 park-like acres in Hall County. The challenging, hilly 2.54-mile, 12-turn Grand Prix track is regarded as one of the finest road courses in the world. Road Atlanta is host for one of the most important sports car races in the world, the Petit Le Mans (Oct 1-4, 2008), which attracts 100,000 fans from 35 states and 18 countries. Another major event at Road Atlanta is the Suzuki Superbike Showdown (Aug. 29-31, 2008). In 2007, Road Atlanta was host to the Gwinnett Bike Fest, and is home to the Kevin Schwantz Suzuki School and the Skip Barber Racing School. Award-winning Suwanee is friendly, progressive, and committed to maintaining a high quality of life for its 16,000 residents. Over the past few years, Suwanee has created several new parks as well as a new Town Center, which is emerging as an attractive and vibrant community focal point. 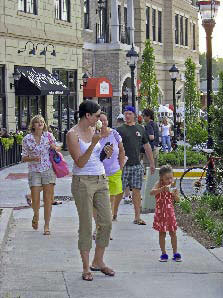 Named one of Money magazine's top 10 places to live in 2007, Suwanee is well-known around the region for its distinctive parks, crowd-pleasing events, and attractive mixed-use developments. Located 30 miles north of Atlanta, Suwanee provides access for its residents to a wide array of big-city cultural amenities as well as great outdoor adventures. Our quality of life is outstanding. Suwanee, Georgia - a community where you can play hard live well and smile more. Dahlonega hosts a stage finish for a fourth time, and is the first big test in the mountains for the pro cyclists. 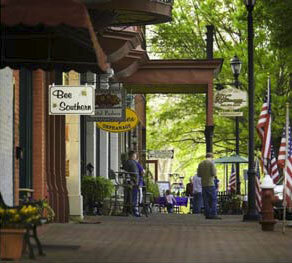 Dahlonega is just one hour north of Atlanta in the foothills of the Blue Ridge Mountains. Located on top of the largest gold deast of the Rocky Mountains, Dahlonega was the site of America's first gold rush in 1828. Although the gold rush history takes center stage in town, Dahlonega is fast becoming known as a "mecca for the performing and visual arts." From bluegrass and old-time music to art galleries and theater, there are exhibits and performances almost every weekend. The historic town square is the center of attention in town, beckoning visitors to shop, play, eat and enjoy the best of Dahlonega. Dahlonega is also the center of Georgia's wine industry. As home to four distinct wineries, Dahlonega's vineyard loop is a cyclist's favorite. This cyclists' haven is home to the infamous Six Gap Century and serves as a year-round training ground for pros and amateur cyclists across the Southeast. The Tour de Georgia returns to Blairsville/Union County for the second time as a stage start. Nestled in the heart of the Northeast Georgia Mountains, Union County is a unique blend of modern America that maintains the charm of the legendary Appalachian era. From the mountain peaks to the lakes, along the roadways and wilderness trails, Union County features flowing streams, waterfalls, native animals, spectacular flora and magnificent views of abundant forests. Union County includes the Blue Ridge Mountains crossing through more than half the county's acreage within the Chattahoochee NationForest. Cyclists from across the Southeast and beyond come to Union County year round to train, while taking in some of Georgia's most breathtaking views. Towns County, in the northeast corner of Georgia where summers are cool and winters are serenely beautiful, is asin natural beauty as when the Cherokees roamed the land. Visitors can enjoy authentic mountain music, arts and crafts,fine lodging, dining and resort facilities, and a multitude of recreational opportunities all designed to make a visit to ToCounty memorable. 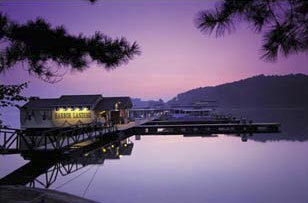 Activities like boating on beautiful Lake Chatuge, horseback riding, golfing, biking, and hiking through abound. 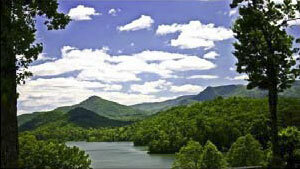 A trip to Towns County is not complete without a visit to Brasstown Bald Mountain. 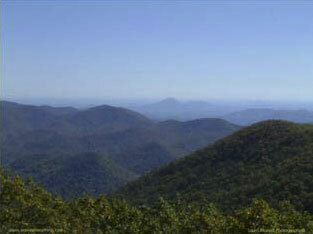 It is the highest point in Georgia, with its 360-degree vista of four states and 4784-foot elevation. 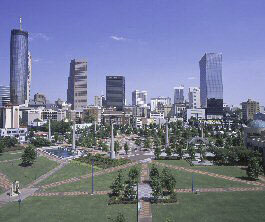 Atlanta's appeal is highlighted by the unparalleled selection of attractions in and around the city. From the fish tanks at the Georgia Aquarium to the soda fountains at the New World of CCola, visitors will never experience a dull moment. Atlanta's historical attractions promise a day filled with education and entertainment, from Atlanta's role in the Civil War and civil rights to the celebration of the 1996 Centennial Olympic Games. Also offering an abundance of cultural opportunities, visitors to Atlanta's many theaters, museums, galleries and concert halls can experience diverse art, drama, dance and music. Atlanta's diverse dining scene features cuisine from around the globe prepared by world-renowned chefs and served in an endless array of ambience and décor. Of course a visit to Atlanta is not complete without a stop at one of the city's malls, outlets, antique shops or galleries. Products from around the world can be found in Atlanta, the shopper's paradise of the Southeast.